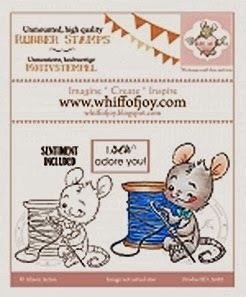 This week we are sponsored by Whiff of Joy Stamps..
...an adorable stamp up for grabs. 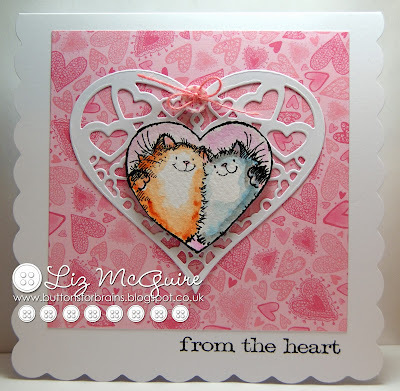 For my card I used a stamp from my new Penny Black stamp set 'critters in love' which I watercoloured. Cute card - I have two cats that are the same color as these two babies. I do love cats! So gorgeous Liz, adorable image and I love the heart die. I love it!!!!! So cute and adorable! Beautiful card Liz, love the very cute image & gorgeous design.